The panel session at the Offshore Decommissioning Conference. The UK Government will be lumbered with liability for oil fields as operators transform or disappear completely over the coming decades, an industry commentator has said. Tom Baxter, senior lecturer at Aberdeen University, said the outcome was inevitable and called for stakeholders to “face up to reality”. 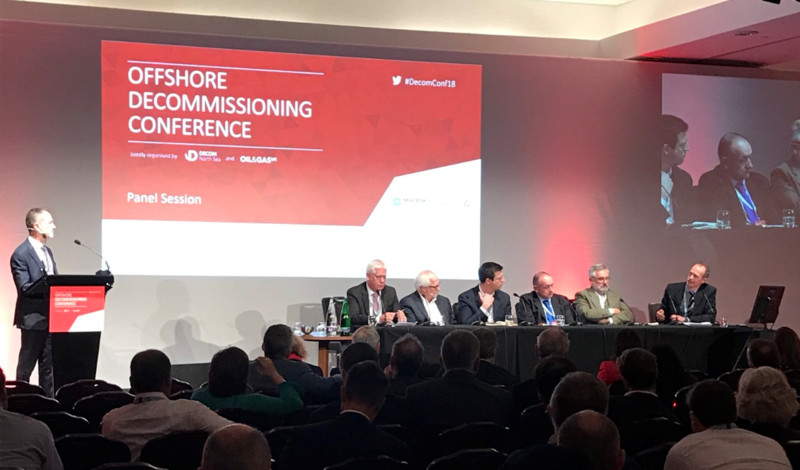 He was taking part in a panel discussion at the Offshore Decommissioning Conference in St Andrews yesterday, organised by industry bodies Oil and Gas UK (OGUK) and Decom North Sea. At a seminar in Aberdeen last week, Professor John Paterson said it made sense to plan for a situation where a company with liability had ceased to exist. The latest government guidance states that the “owner” of the infrastructure at the point of decommissioning is liable “in perpetuity”. But Prof Paterson, from Aberdeen University, acknowledged that under international law, the buck stops with the state when a serious environmental incident such as a leak occurs. Win Thornton, vice president for decommissioning at BP, said liability for infrastructure left at sea should rest with operators. Mr Thornton said it would be wrong to pass on the responsibility, and that operators could be more creative in their dealings with the supply chain. Matt Jenkins, chief operating officer at Well-Safe Solutions, said operators could do more to collaborate on a campaign-based approach to well decommissioning. Well-Safe, launched last year, intends to build up a backlog of wells with various operators. 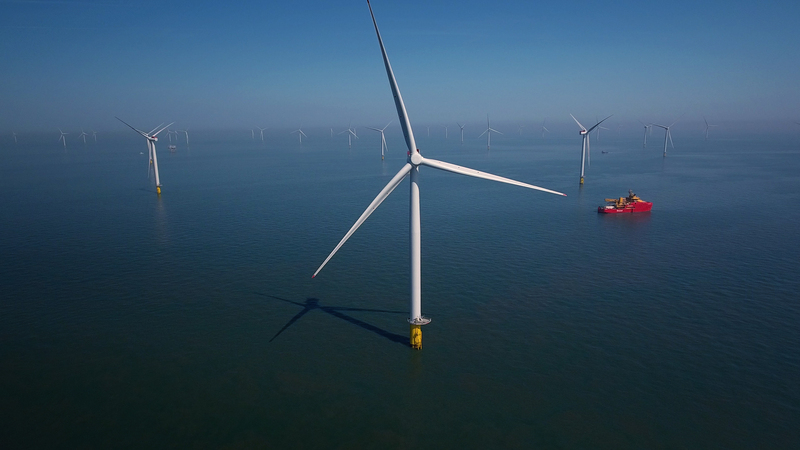 It would then tackle a large number of wells as part of a single campaign, rather than decommissioning a small number at a time, thus saving time and money. Mr Jenkins said a lack of familiarity with the approach was a challenge: “Industry has only really executed single-operator campaigns, so far. Richard Tocher, decommissioning manager at ConocoPhillips, said many large companies would not see the benefit of a multi-operator approach. “The challenge is that there are single operators that are big enough to campaign by themselves,” Mr Tocher said. But he revealed that ConocoPhillips had effectively collaborated with Spirit Energy on the decommissioning of wells. He said both parties decided it would be easier if Spirit took on responsibility for abandoning the wells in question, due to its wealth of subsea experience. Mr Tocher said the “technical aspects” were not difficult to solve, but that getting the commercial arrangements in place was a “nightmare”. Ahead of the panel session, Mike Tholen, upstream policy director at OGUK, said: “Some companies want to do campaigns on their own and some want to do them together. 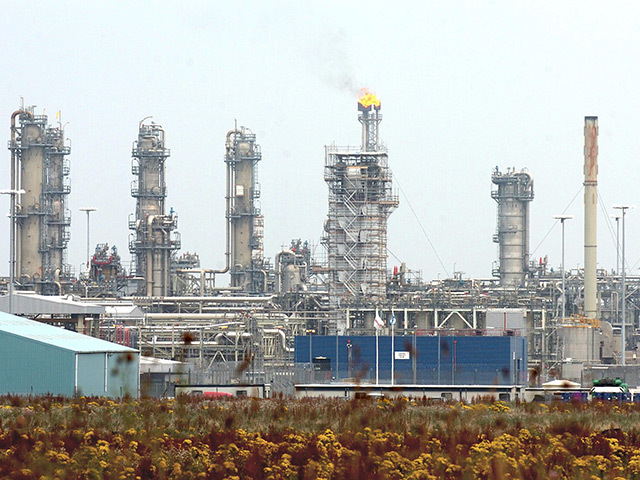 “The likes of Conoco and Perenco have enough to campaign on their own. They don’t need mates to help them. Mr Baxter also reiterated his calls for a review of legislation governing the decommissioning of offshore oil and gas installations. The UK has adopted the Ospar Convention, which stipulates that infrastructure has to be entirely removed following cessation of production. But exceptions can be made if a company can prove that removing infrastructure would do more harm to the environment than leaving it at sea. An opportunity to review, and possibly challenge, the current criteria for leaving equipment in place was passed up earlier this year. Prof Paterson said last week that more oil industry figures were discussing whether the criteria are too restrictive. Mr Baxter said the UK could be missing out on economic and environmental gains by sticking to the current rules. He said: “As taxpayer I’m scratching my head. Am I getting value for my money or is it good for environment to rip out infrastructure that’s been there for 30 years? “What I would like to see is an unconstrained look at the basin − a scientific, evidence-based review. He said oil companies could not carry out such a study, because it would be tainted and portrayed by green groups as an attempt to wriggle away from responsibility. Fellow panelist, Callum Falconer − chief executive of Dundeecom, an organisation aimed at turning Dundee into a major decommissioning centre – said he thought the current legislation was appropriate, and “in the sweet spot”. But Mr Falconer complained about the number of strategies being churned out by industry bodies, government agencies, and economic development organisations. Mr Falconer said: “There are too many strategies. We’ve got strategy fatigue. I think there is a case for a single industry strategy.